What is Affordable SEO Services? Affordable SEO Services is about “Affordability”. It’s the kind of word that many people like the sound of, but the concept is actually quite subjective. What one person considers affordable might look out of range and unjustified in cost to the next guy or girl. To further complicate matters, something that looks affordable at the start might not prove to be that way if the desired results do not come out of the transaction. SEO is just like any other business service. A number of different players are in in the field, each offering their own basket of products and services, spanning a wide variety of price points. When the time comes that you must make business decisions, it’s generally assumed that going for something cheap is a bad choice. On the other hand, something considered affordable has a totally different connotation to it. Everyone likes that which is affordable, but we also hope that everything is reliable and effective as well. SEO is a bit troublesome in terms of reliability given the variable nature of the work, which makes guaranteeing specific results rather impossible to do. On the other hand, in terms of affordability, you’ll easily discover quite a few SEO firms making the claim that they offer affordable seo services. The trick is determining who actually pulls it off. “Affordability” Doesn’t Equate To “Cheap” – as the quote below outlines. As you can well imagine, SEO is a world with some interesting characters. You’ll find that there are still unethical ‘experts’ that just want to take your money, and in return they’ll abuse Scrapebox and spam a bunch of links. It should go without saying, but you need to stay away from these jokers, they will hurt your business. Affordability is by no means equal with being cheap. In regular colloquial language and use, the word “affordable” simply does not carry the same connotation that “cheap” does. Cheap carries with it an implication of having both a low price point for the consumer, but also a low cost in terms of what the company behind the product or service put into it. If you’re looking for an SEO company, and you are afraid that you have thrown your lot in with the dark side, just back up and walk away. Cheap SEO agencies use ‘black hat’ techniques, and you don’t want to be a part of that. Doing business with a black hat establishment can mean your company’s name gets dragged through the dirt and your websites blacklisted or penalized by search engines you’d rather be promoting you and giving you profitable or actionable traffic. Google penalties can strike your website at any time. The algorithms apply them automatically when certain criteria are hit (or not). Believe me when I say that you don’t want this to happen to you, because your company will endure pain and suffering. If you think that you might be entitled to give Google an earful about how it decides and applies a punishment of de-indexing, then you should know that Google is not big on appeals and is actually rather unsympathetic. They give you ample guidance in Google Webmaster Tools and search console. Other search engines are as focused on generating quality results because most of them are chasing Google. SEO experts (the legit ones) know all too well that just pleading ignorance to them, in truth or falsely, is not going to get your penalty lifted any faster. The responsibility for your affairs is yours and yours alone. Google adheres to a philosophy of it being your responsibility to know ahead of time whether or not you chose a fair-minded SEO agency or not, so do your homework! 2) Avoid prices that are crazy in how low they compare to the rest of the market. 3) Skip doing business with anyone that claims to have some kind of relationship with Google or someone there. 4) Walk out on anyone promising you a number-one ranking. 5) Don’t do anything with any firm claiming they know Google’s algorithm. As you know now, there are a few fundamental basics to be mindful of when shopping around SEO agencies, and most of it centres on your responsibility of being a dubious consumer. Even if you don’t know much about SEO, most of the above list should set off warning bells in your mind. So, now you’re aware of ways to avoid the scammers and black hatters you don’t want to do business with. Having said how to avoid cheap SEO services, let’s start going over how you can find the affordable SEO service providers. The idea of affordability brings with it a subtle implication that the product or service deemed affordable has more value than what it will actually cost you. You can assume something to have a reasonable price point with reliable and practical results. Results are what defines affordability. Let’s say you find an SEO agency that offers rates you deem affordable. What happens if you find them affordable at first but you don’t see any substantial results by year’s end? Were they really affordable or did you get ripped off? If all you get is a bill and no tangible results in Google, then I think I know how you’ll feel. I talked to a prospective client once, giving him a quote for the Affordable SEO services we provided, and his reaction was one of shock, almost horror. You want to charge me how much? I’m only paying a £150.00 right now! My response was a simple question. What results has that hundred and fify punds gotten you? If you’re so satisfied, why are you shopping around for a new provider? He responded (genuinely) by saying he hadn’t gotten anything from that money, but he was paying far less than I quoted him. There’s no logic in flushing a £150 away in something that doesn’t work. You’d have a better time burning it and enjoying a wasteful moment of expensive fun. The better thing to do obviously is putting that money into a different marketing form or medium. As mentioned already, no one can promise you search engine optimization results. However, if you do your homework and due diligence, you’ll discover reliable SEO agencies that fit your budget and needs. 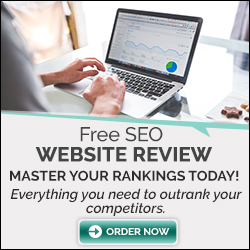 Another huge risk you face is actually overspending, for a business that is small, local, and especially both, then gunning for a premium or comprehensive SEO package is probably a waste of time, money, and resources. You have to keep your feet on the ground and be pragmatic. You’ll also need to deal with the reality that you’re not hiring the professionals that serve the biggest brands in the economy. If you think two grand a month is a lot of money, you might not want to know the retainers tossed around by the players at the adult table. Some SEO agencies actually charge their clients more than five digits a month. What one person or business finds cheap, another finds affordable. It’s all subjective, except for what bang for the buck high-caliber SEO gets them in terms of results. You have to consider it an investment, and that’s a hard pill to swallow when so many other expenses have immediate returns. You might shell out a few hundred a month and get nothing but tons of data, analytics, and reports for a few months. Rankings follow after some time has passed, but the cumulative results will astound you. And yet, I still get asked most days where someone can find SEO services that are cheap. My answer is a cold water splash of reality: SEO is not something you get done cheap. You have to invest money, time, and patience. Spam campaigns of building links don’t hold a prayer of creating rankings that are sustainable over time. As you consider promoting your business, remember what Google’s core service is; they are worth billions because they’re so adept at giving their users search results that aren’t just relevant but also useful to their queries. If it was possible to spend twenty bucks and get a thousand links that actually worked, then everyone would do it and the links would all cancel each other out. 1998 was fun, but it’s long gone, and the algorithm Google uses has grown so much since then. It’s had a lot of frequent changes preventing people from abusing and gaming the system with ranks they simply have not earned. You probably get weekly emails from SEO firms that are both cheap and offshore. Don’t use them. You’ll spot them easily at first because the language of the email might look like English, but it’s strange in ways. You’ll also likely notice that they don’t have a last name. Some don’t even have a business name. Your only possible contact information is a disposable email account. You don’t seriously think you can trust this do you? Many SEO companies still engage in regular spamming of blogs, forums, and websites as part of link-building campaigns that are poor in quality, at best. 1) Such links have the power to get your website seriously penalized. 2) Your company’s reputation might suffer from such links. 3) You’ll look unprofessional with poor grammar content pointing to you like that. I can’t speak for you, but I would never want a high volume (or even a low one) of badly written content at all associated with my brand, business, or reputation. Not personally, and not professionally. That leads us to content. Everyone would love an ‘SEO easy button.’ There’s a major office supply chain that centres a lot of their marketing around the concept of an easy button, but they sell paperclips and copies. They don’t do SEO, and for good reason. SEO takes effort, time, and technical matters. However, coming up with high-calibre content does not come quickly. You are probably aware of supposed time-savers you can use to speed things up, like content scrapers and spinning software that helps you rewrite existing articles into posts that are unique. It’s known as a technique called ‘article spinning.’ It does not work effectively, and on top of that it’s just ugly, nor do the sentences and paragraphs actually make a lot of sense. Just replacing synonyms until an article passes Copyscape or something similar is something that shady SEO firms do to fill websites with relevant content to create backlinks. However, the content ranges from useless to horrible, and even Google’s nonhuman eyes can recognize that kind of rubbish (more technically known as ‘thin content’). That kind of stuff gets a well-deserved penalty from Google. Remember that you have to invest time into SEO, but SEO results kick back to you for a long time too. Spammy techniques might get you some wins, but they don’t last long, and the penalties might. Also, fixing SEO errors means wasting money and time you could have spent on doing things right in the first place.